Here is a copy or the contract that we ask all of our new owners to sign. The most important thing is that all of our kittens are rehomed to suitable loving homes. 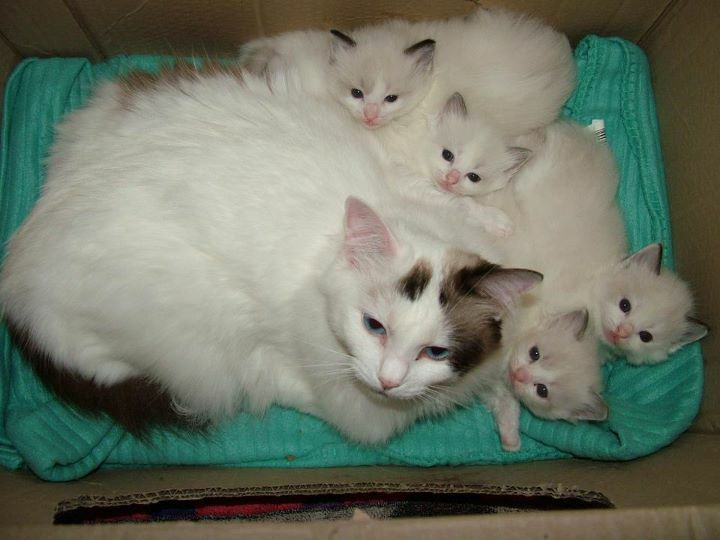 We ask that all of our kittens are neuterd by their first birthday and in return we offer 24/7 support for the whole of your ragdolls life. This is an important document. You should not buy a Reiver Ragdoll kitten/cat or sign this contract unless you intend to be bound by the terms and conditions herein. Insured with Pet Plan for 4 weeks from date of sale. 1. To undertake to keep the kitten as a household pet only. 2. Not under any circumstances whatsoever to use the kitten for breeding or allow the kitten to breed with any other cat of the same or a different species, neither will the Purchaser allow any such use to be made of the kitten by any other party. 3. If for any reason it becomes necessary for the Purchaser to transfer the property in the kitten to a third party the Purchaser undertakes to obtain from the third party a covenant in similar terms to those contained herein. Surgeon/Practitioner stating that this has been carried out. 5. In the event of these covenants being breached the Vendor shall have the right to repossess legally the kitten and to be reimbursed by the Purchaser the reasonable cost of such repossession and the keeping of such kitten for a period of up to two months after repossession. Such costs to include Veterinary examination and fees. AS WITNESS the hands of the parties. Farmhouse Evie Rose ( 66 31) and a previous litter with her breeder S. Hurrell. Many Thanks to her for this beautiful girl.